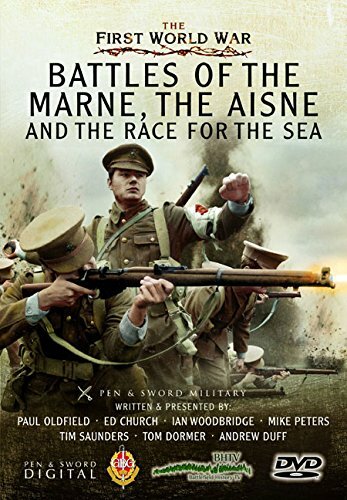 ‘Battles of the Marne and the Aisne’ continues the story of the early part of the 1914 campaign, following on from ‘Nery and the Retreat from Mons.’ It examines the ultimate failure of the German Schlieffen Plan, and how the German Army then retreated to the Marne. Talking about the action from where it took place enables the viewer to understand some of the geographical and logistical challenges the BEF faced in 1914. This series of DVDs provides a useful and interesting introduction to the early battles and manoeuvres of the war, which ultimately set the scene for how the remainder of the war was played out on the western front.